Citizens for Justice was founded by a group of professionals who have been involved with the legal system for many years and who know that access to justice in America too often belongs to the rich and the well connected and that the system itself is horribly corrupted. After having had a successful newsletter, we decided to move the organization onto the Internet where millions more people can see the problems inherent in the system and move to do something about it. Often times, the so-called justice that is doled out isn’t justice at all, but is based upon the decisions of corrupted people. For example: each entity in the “Justice” system is mired in conflicts of interest of one sort or another. And the conflicts are largely based on the interrelatedness of the system itself. The police work in conjunction with the prosecutor to get a conviction. Instead of striving to reveal the truth, they get blinded by the glow of the scoreboard of convictions. A Judge has to work regularly with a prosecutor so why would the judge want to have an adversarial relationship with someone he/she has to work with constantly? The judge is certainly not impartial to the people on trial, the lawyers or the prosecutors. He or she is human and could have the same kinds of prejudices as anyone else. They also work in a very constrained system of laws that can be interpreted one way or another, solely at their own discretion. The lawyers represent opposing sides and rather than seek the truth of the matter, they seek only the “facts” that best help their cases, regardless of the consequences to an injured party. Some lawyers will lie. They will certainly often omit and misrepresent. How many times have we unfortunately witnessed the Police being charged with lying in their reports in order to get a conviction? What is particularly unsettling is the number of police officers who haven’t been caught. The way they look at it is that their job is to get the criminal caught and convicted at all costs. It looks good in their file. Juries are made up of people of every walk of life who maintain their own prejudices and views. They have to take time away from their jobs and family, travel to some far off place, wait in uncomfortable conditions and then get grilled about their personal views before being selected to determine if a person they don’t know or care to know is guilty or innocent in a case they usually know nothing about and don’t care about. Sometimes, all they’re thinking about is going home! They don’t know the law and some people in the system believe they shouldn’t be privileged to know the merits of the law. Oftentimes, juries believe that the law itself is wrong. So the point is how can the justice system be considered impartial and fair? It can’t. We’re not saying that there aren’t any honest lawyers, police or prosecutors. But, you have to understand that there exists in the system a predisposition toward unfairness. The question comes down to: “What can we do about it?” Very little I’m afraid. You can vote for some judges; if you get a raw deal with one judge, you can seek to remove him/her from another case that involves you before the same judge; you can vote your conscience against a law that you deem wrong; you can file complaints against lawyers with unsrupulous tactics. Some of this may work; most don’t. We as a group at this site are generally considered big complainers and we want to urge every person on every level from the downtrodden jury member to the plaintiff or defendant to bombard the entities running the system with complaints that the system is a sham. If nothing else, this website is another form of our efforts to tell those responsible that they’d better fix it, because it surely is broke! Thank you for visiting. How many more people, laymen and professionals alike, have to be bitten by the Judicial Monster, the unaccountable judiciary, before we, as a people, realize that it’s the People that must put an end to judicial corruption. The system will not correct itself. Correction must come from an independent turf operated by the people. Below is an exchange between Constitutionalist Jon Roland, jon.roland@constitution.org and Attorney David Gross, david.gross@tcq.net which exposes the corruption of the judicial system. This expose’ is by legal scholars and professionals experienced in the system. Even they have gotten bitten by the Brethren of the Bench, and we wonder how much longer are we going to sit back and “watch” while this Judicial Monster continues to ravage whomever it will, with impunity! This is not what the Founding Fathers had in mind, and it’s the DUTY of the People (now the Posterity) to act while we are able to do so. We have omitted some personal invective that has no bearing on this expose’ of judicial corruption. Let’s hear from more of you, especially those of you working within this corrupt system, who are likewise victims of this injustice. Speak out, and help us correct this gargantuan plague running this country– judicial tyranny! Help us get J.A.I.L. passed as soon as possible. This is to thank David Gross for an excellent, passionate, and revealing defense of Jim Brosnahan. I am going to spread it around. It deserves a wider audience. I am, of course, well aware of the general points Gross makes. At the time I made my remarks, I did not know, and still do not know, what role Jim Brosnahan or anyone else played in the case. However, even if Gross is correct, then it is still damning of the legal profession and the “legal system”, which is about money and power, in other words, about careers. It confirms my statements, just in greater detail. Gross’ description of the legal profession is of something so corrupt and evil that it is his remarks more than mine that might deserve civil action, [Where does one take a civil action, to another judge?] except that the truth is a defense. But, has anyone read such a magnificant expression of sheer arrogance as Gross’ ? He perfectly expresses the attitude of lawyers toward the rest of us. They are the predators. We are their prey. They care nothing for justice. A complete justification for the activation of the militia. I, of course, am judgement-proof. I was ruined financially many years ago because I had the gall to challenge some corrupt politicians, lawyers and businessmen, who went after me to make sure I couldn’t do it again. The problem for them was, that I learned the law during the course of that, and wound up costing them more than they cost me. I’ve learned how to ruin someone financially from the experts. With all due respect, I’m going to weigh in, here, as an attorney and as someone who is familiar with Jim Brosnahan. I personally know John Walker Lindh’s lead defense attorney, James Brosnahan, and have since 1975. I respect him as one the best, most caring, and competent attorneys in the United States of America. Bright, articulate, personable, quick-witted, experienced, creative thinking, intellectually honest, clever, and precise as a legal scholar, with a sense and depth of history, drama, genuinely gentlemanly style, passion, and a persuasive courtroom presence and manner, I can think of no other attorney who I would FEAR more, were I on the other side of the table before a jury. I am proud to consider him a friend and mentor. He earned my respect and admiration for his skills and expertise from me, an already experienced attorney, and he gave me better skills and perspective, as a constructive critic. Jim Brosnahan dares to ask, “What is it that we are doing and trying to accomplish?” He does not flail about; he doesn’t “churn” a case; he is never flustered and unanalytical; he always has direction and purpose; he is efficient; there is no wasted motion or effort. He is the consummate professional, genuine and charming, straightforward and honest, knowledgeable and experienced. Jim Brosnahan did NOT roll over; he chose the best moment to advise his client to close the deal under the constraints he faced. Based on the rulings of the court, John Lindh didn’t have a snowball’s chance in hell before a jury. Remember, the judge instructs the jury as to the law they must follow. In a federal court, the judge has great latitude to comment on the evidence which s/he allows the jury to consider. So, in federal court the judge can first “filter” the evidence (and on appeal, the Court of Appeals will give great deference to t he discretionary rulings of the trial judge) and then comment on the evidence that is left for the jury to consider to the extent that the trial judge can virtually “direct” the verdict. This judge was openly hostile and close-minded about EVERYTHING that Lindh’s counsel did to “make a record.” And that’s about all they were able to accomplish, as a practical matter: make a record for appeal. They were going to lose at trial and the judge made sure that they knew it. This was going to be a career case on appeal with a myriad of issues. 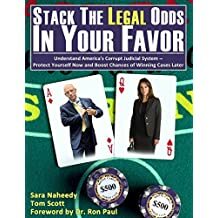 Even if you win on appeal, you’ve already lost, because your client is in jail and the federal court can take as long as they want to decide the case. Remember the Emerson case? From argument to decision was something like 17 months and well over two years from the trial court’s ruling. I had a federal District Court judge sit on a summary judgment motion for 15 months, once. I just had a court of appeals hearing on a case where the hearing was held 14 months after the trial court decision. Who knows when the decision will come out. Tough cases . . .. And there is risk of loss on appeal. Brosnahan and his firm do not work for nothing, or even a moderate fee, by any standards. I do not know what the bill was, to date, but I must assume that it was a whole bunch and that Lindh’s parents do not have unlimited resources. I have a brother who was in a lawsuit where the attorney’s fees for his counsel were just under two million dollars, not to mention the other side, whose first 1 million in fees was covered by insurance. He prevailed in a jury trial where he was awarded 6 million dollars, and, luckily, is collecting it. Remember, a civil judgment is just a piece of paper, but a criminal conviction is a sentence to be served, RFN. The first corollary is that “Nobody ever won a contest/game/battle/trial being only on the defensive.” I have put that rule into practice, both as a prosecutor (1 – where the state has the burden of going forward with the evidence for probable cause and a prima facie case as well as the burden of persuasion beyond a reasonable doubt. 2 – Prosecutors make the best attorneys, BTW :-)); in civil cases involving simple stuff like contracts and more complicated stuff like constitutional civil rights and civil liberties; and as a criminal defense attorney. All trials are about persuasion; if you don’t prove something, you aren’t there and haven’t made a case. It doesn’t matter that the constitution says that you are presumed innocent unless and until the state proves the case beyond a reasonable doubt and you can’t be compelled to testify. Unless the defendant proves something to put some complexion on the case, some context, some humanity and personality, the defendant is likely to be convicted, unless the prosecutor is a jerk, has no skills, and screws up by totally alienating the jury. You can go far with several good cross examinations (which by the way, Jim Brosnahan studies by collecting and close studying of transcripts of the great cross-examinations of the greatest lawyers from cases all over the world at all times in recorded history), but that is an art form as well as a skill, to take an adverse witness and not just to call their credibility into question on some good basis, but also to turn them a little bit in your favor on a key issue or two. So, it got down to “how much justice are you willing to afford?” Bottom line. Finis. End of Discussion. The alternative uses for that money, instead of futile attorney’s fees are simply too compelling. The government had to concede that the … charges concerning treason were unsustainable, even though they had a friend on the bench working for them. I can’t say for sure, based on the information I have at this point in time, but I suspect that the prosecution was somewhat worried about winning the treason counts with the “help” of the trial court and losing the whole sheebang on appeal, because of them. A deal was probably the only way the government could save some face and the defense could still leave little Johnny with lots of money in his trust account when he is paroled, still a relatively young man, not yet middle-aged. We post this message to show yet another “inside” view of court corruption from the professionals in the hopes that enough people of all walks will realize that it’s time to put an end to this game of “judicial blocking” of justice. Folks– even you in the system– haven’t people paid a high enough price in playing this game? The longer this game is played, the further down the tubes this entire country slides. It’s high time for judicial accountability– not to other game players– but to the people. J.A.I.L. is for the good of everyone– except the tyrants. JAIL is powerful! JAIL is dynamic! JAIL is America’s ONLY hope! All cases offered on the Citizens for Justice website are posted at the sole discretion of Citizens for Justice. Cases may be removed at any time by the administration or at the specific request of the party submitting the case for posting. It is generally our policy that once a case has been posted and subsequently removed, it will NOT be considered for re-posting unless there are special circumstances surrounding the case that would warrant it, otherwise such a secondary posting could damage any possible settlements involved in the parties negotiations for a legitimate settlement. We will be adding more cases as we find time to review the many that we have received. We regularly submit all the pages on this site to the various search engines, including the names of both parties in the action so that supporters of both sides may have an opportunity to comment or vote as they see fit.